She goes on to reveal that as she was responding to Paul’s request, she realized that “this land happens to be the farm next to me on the west and the south sides.” She thinks that a man named Stan Brewer might also own some of the original homestead that William Stares claimed in the 1870s. 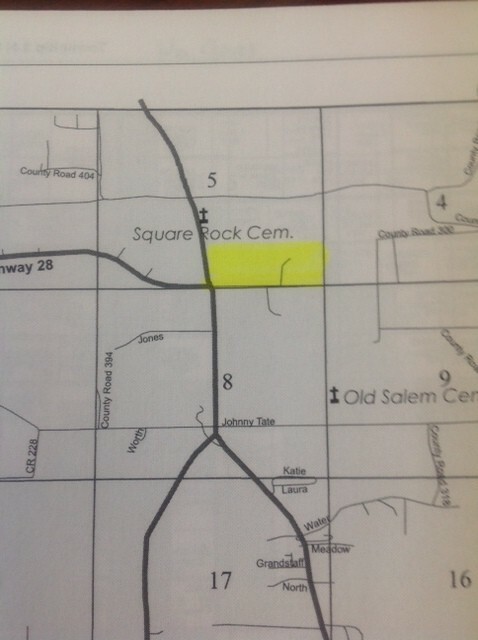 As the above map indicates, the local landmark that is most commonly used to give directions to this (northern) area of Scott County is the cemetery at Square Rock United Methodist Church. This is also one of the locations that was part of the earliest Methodist circuit in Western Arkansas. As the name suggests, there is a large squarish stone (weighing several tons) that can be found in front of the white frame church which is located in front of the cemetery, where some of the oldest residents of that area of Scott County are buried. I am not aware of any members of the Cartwright family who are buried there, but there are plenty buried in the Coops Prairie Cemetery located a few miles north of there on the Southern edge of Mansfield (the northernmost point of Scott county). The homestead of William R. Stares was located just south of that location just east of the present-day intersection of Hwy 28 and Hwy 71. 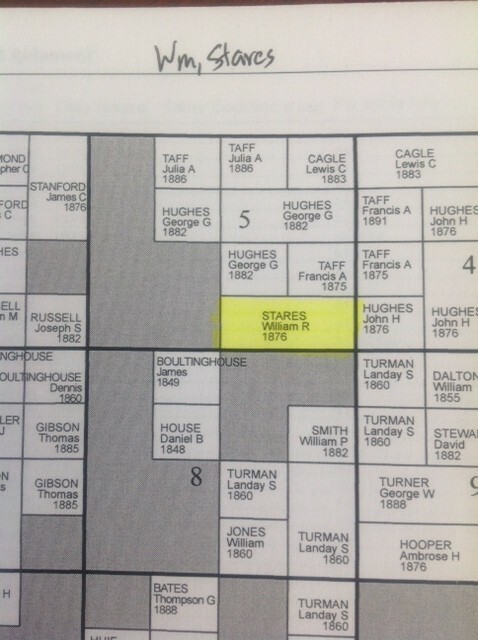 See also the map below that shows the block of property claimed by William R. Stares. Depending on what connections I am able to make with folks at Square Rock UMC, we may also try to meet with some local residents during the pilgrimage in May 2015. This entry was posted in from East to West, Questions of the Week. Bookmark the permalink.